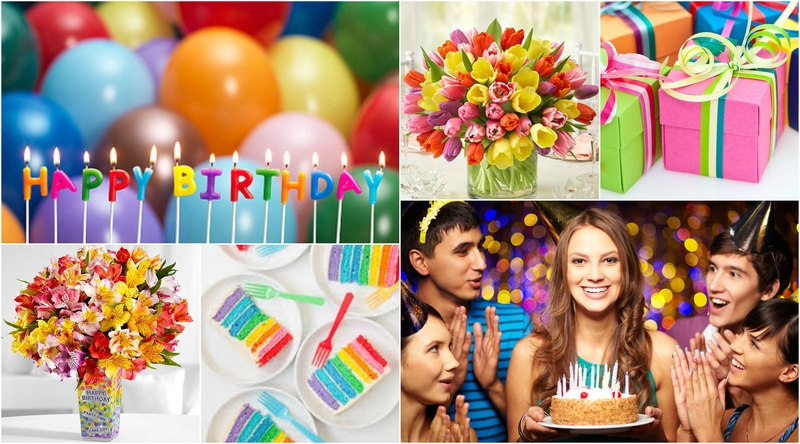 How to choose best birthday flowers? Tips & Tricks. The tradition of giving plants originated in ancient times. It is not surprising that this custom exists until now. Flowers bouquets, as a gift, are a great opportunity to represent sincere feelings and also, emphasize the importance of dearest people. Also, a floral arrangement is a great addition to the main gift if you are going to a birthday. Our team created this following list of birthday flower meanings, in order to represent the importance of the flower language. Now, if you ask yourself “What is my birth flower?” there is an awesome chance to find the answers below. This season opens the year with snow and cold; so we have to warm hearts of our dearest people with our attention and gratitude. January, these people are ambitious and powerful. They are born to be leaders, but it doesn't mean that they do not need warmth and love. Order for them a bouquet that will represent your attention, and emphasize the best of their character. Roses, Alstroemerias, Gerberas and Eustomas will be the best choice for this purpose. February people are patient and discreet, they are the future leaders. For this reason, we advise to offer for them elegant and modern flowers baskets, in pastel colors: Roses, Freesias, Chrysanthemums and Eustomas. March will present us a category of charismatic and cheerful people. They will surely appreciate delicate flowers like: Snowdrops, Daffodils, Violets and Tulips. April. Born to be the sweetest, help others and enjoy life with its bright colors. Frequently, these people are artists, they love to create something beautiful and make others feel happy. Impress them with a bouquet of yellow or red Daisies, or a bunch of multi-colored Roses. May. Pleasing and attractive personality, these people love to look stylish and be independent. Order for them a charming bouquet, made from Lilies of the Valley. The rareness of these plants makes it a very special gift for birthday. June. Those people are are very friendly, fashionable and stylish. Order white or cream flowers for them, to represent your sense of warmth and politeness. July. Many people, who were born during this month are genius. That opens many life roads for them. The best gift can be green or red Larkapur (Delphinium) and Waterlilies. August people are very attractive, love to joke, to dream, and have a leadership character. Order for them orange, red or light green Gladioluses or Poppies. September. People born in this month are simple, intelligent and have a flexible character. Just open for them your heart and buy one of the common autumn flowers: Asters, Dahlias, Chrysanthemums or Gordonias. This will make them happy. October. Born to be leaders, very friendly and strong people with a good charisma. They will appreciate from you an elegant bunch of seasonal flowers, also, exotic bouquets of white, yellow and red colors. November people are understanding and empathetic towards others. They have a creative thinking and will be very happy to receive any gift, the most important that person will offer it from the heart. December. Generous friends with whom you will always feel fun, they have an ambitious character and love to win. The best will be to offer for them flowers in pot like Narcissus or Crocuses. Discover the flower world with UZ-Flowers.com and order the most beautiful bouquets for your dearest ones. See also: "Flowers for Different Ages".